important to your business growth. Inconsistent business listings can spread across the web like a deadly disease, affecting major online directories and search engines that control local search results. If your competitors have more consistent listings than you do, they will gain more visibility among your potential customers than you will. 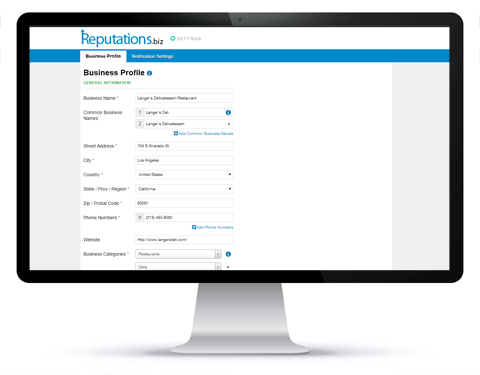 Manage your online presence in one place with Local Listing Builder. Fix and update your listing information, sync your profiles and create local-search-friendly listings all from one place. The overview section will give you a 30,000 foot look at how accurate your listings are across the internet. Update your listing information on all the four major data providers, which are trusted by 300+ online directories, review sites, search engines, GPS services, and more. 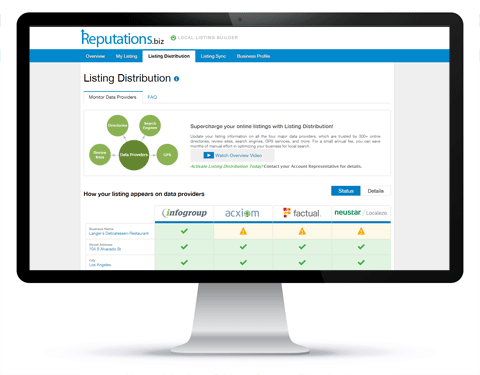 The listing distribution page will show you quickly how accurate your data is across the four major online data providers. Here is where they accurate listings magic happens. 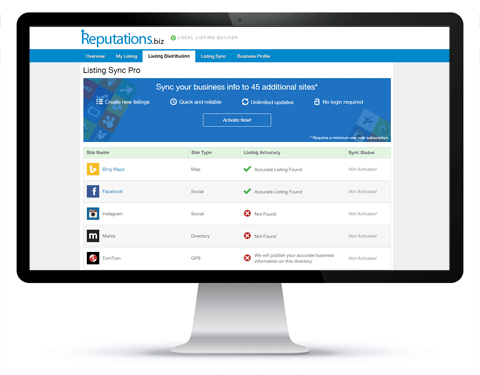 Listing Sync empowers you to create, manage and maintain numerous business listings from one place. With plenty of accurate listings, you'll make it easier for consumers to find your business in local searches. This is the only page you have to edit when information about your business has changed. Does that sound better than manually changing hundreds of listings? We thought so! 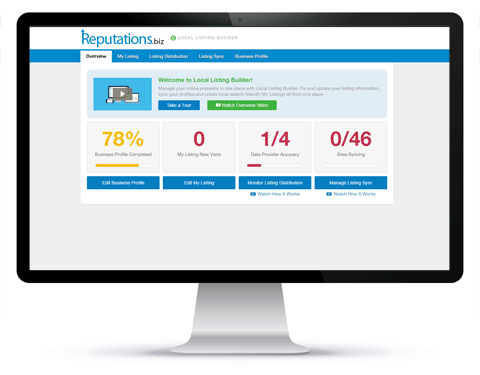 Your potential customers are searching for local businesses – get found!